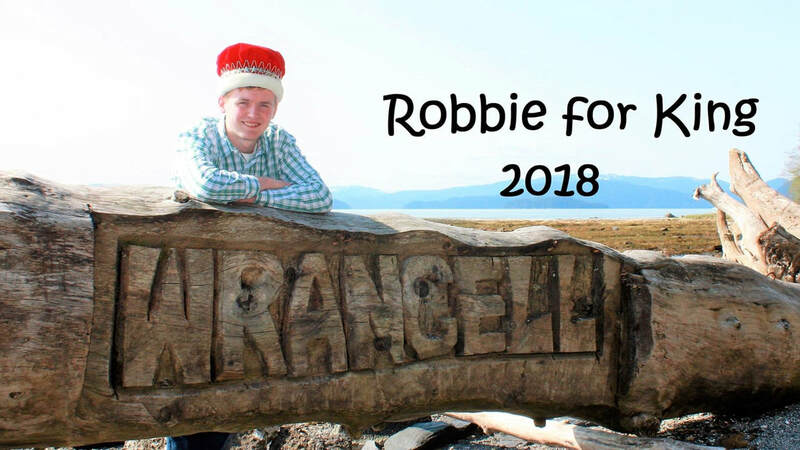 The 4th of July Royalty Contest is a long standing tradition in Wrangell which started back in 1950. Though it was traditionally started as a way for high school age girls to earn money for college; it has now evolved into a contest that is open to any male or female individual, youth, married couple, friends, church, club or organization. 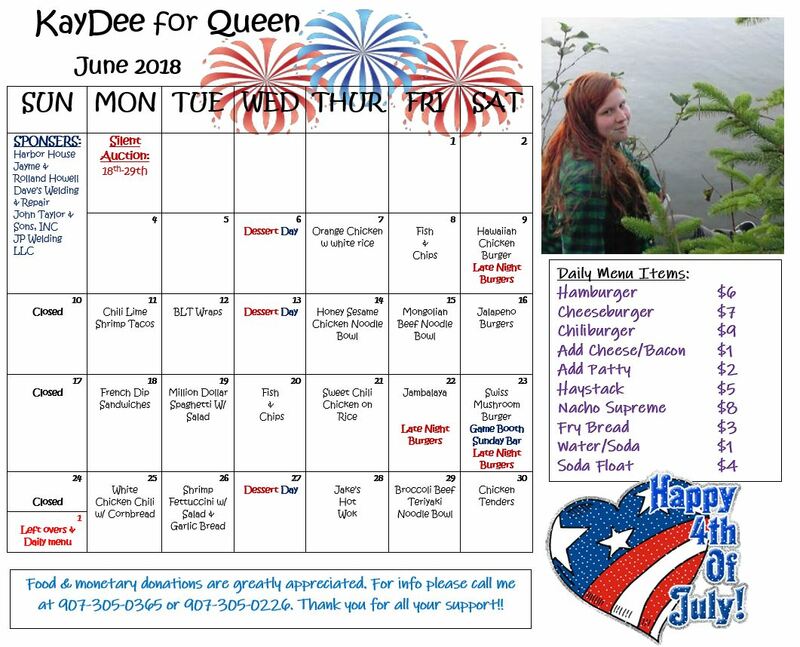 For the month of June the royalty candidates sell $1 tickets, with the option of also running a food booth, the candidate who sells the most tickets will be crowned the 4th of July Queen or King. 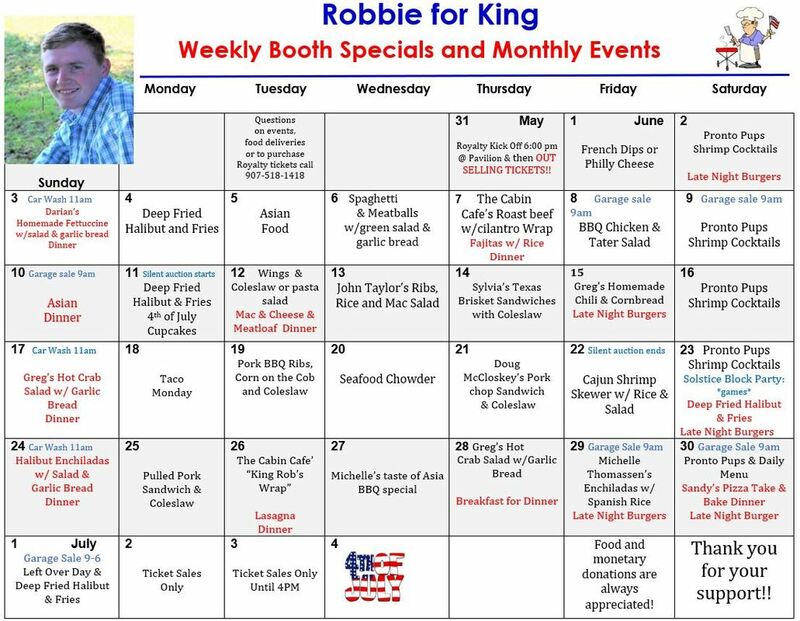 The royalty contest is a great way for the candidate to raise money for themselves and their community. Each candidate earns 30% of their ticket sales and the rest is used for our incredible 4th of July Celebration! The tickets are worth big cash prizes as well; 1st place: $4000, 2nd place: $3000, 3rd place: $2000, 4th place: $1000. 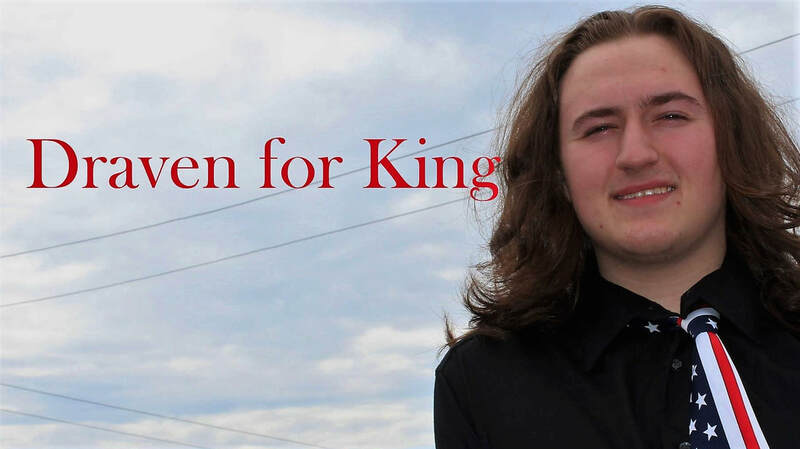 Click the links below to view the Facebook group pages for each candidate. 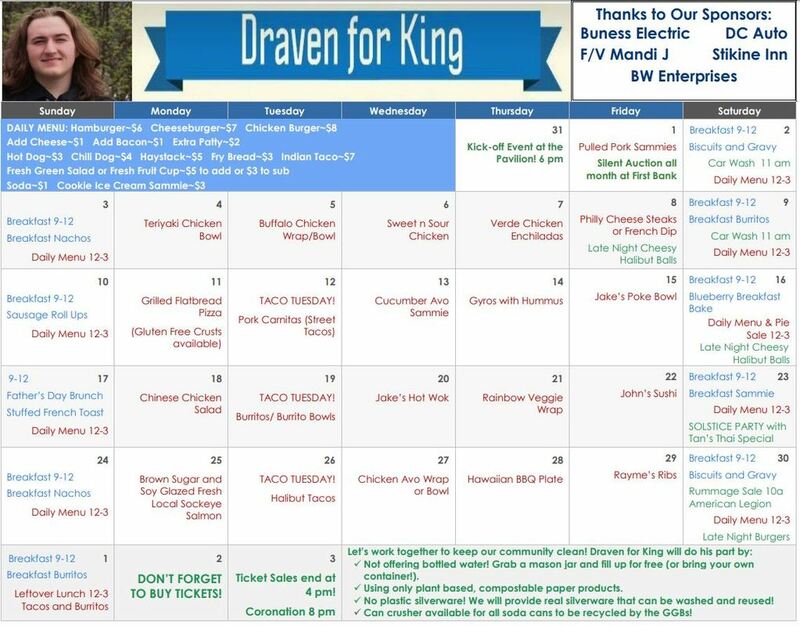 ​Menus, activities and more are updated daily!